This is one dog determined to connect with his ancestors - cartoon ones, at least. 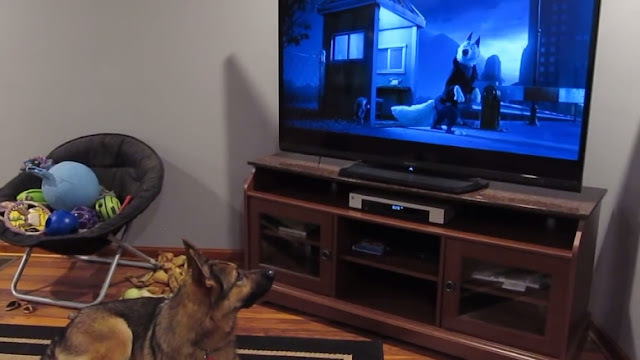 A precocious German Shepherd named Randell was filmed lazing by the television which was playing the hit animation flick Zootopia. He then stands up and begins howling away as if he's under the eerie glow of a full moon in the middle of the tundra rather than in his cozy living room with bones and toys stacked in the corner. 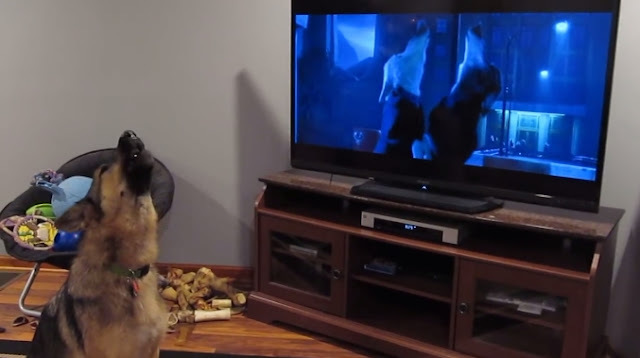 Viewers were quite taken with the big dog's ear-piercing but amusing antics. 'Going to have to fine that German Shepherd one belly rub for being loud and a pet for being a good boy,' joked one commenter. Zootopia is the smash 3D animation movie that explores the unlikely partnership between a rabbit cop and a fox criminal as they try to solve a conspiracy regarding Manchas, a black jaguar chauffeur, who is captured by wolves. Responses to "German Shepherd Howling With Wolves From Zootopia"